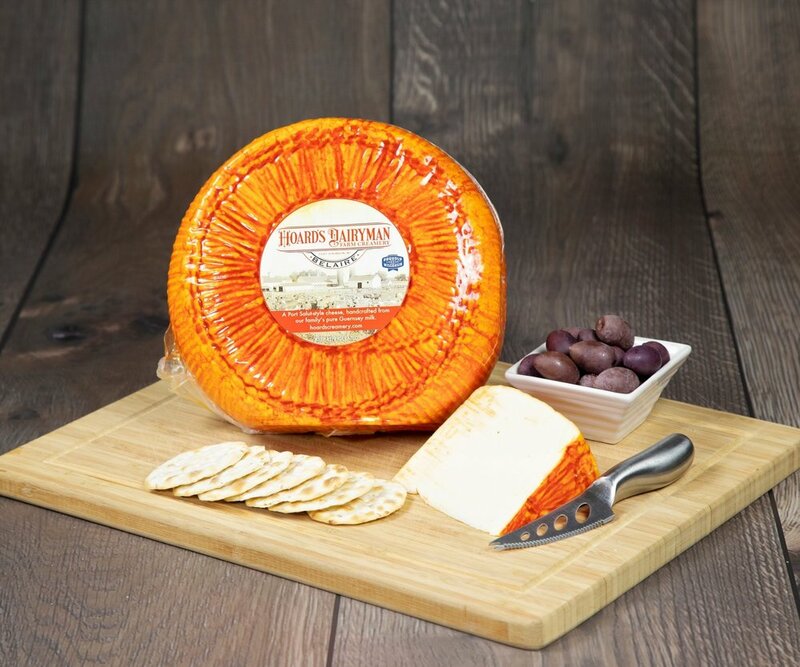 Our Belaire, Port Salut (POR sa-LOO) -style variety is an exquisite, mild, and classic cheese that’s easy to eat and will quickly become one of your favorites. 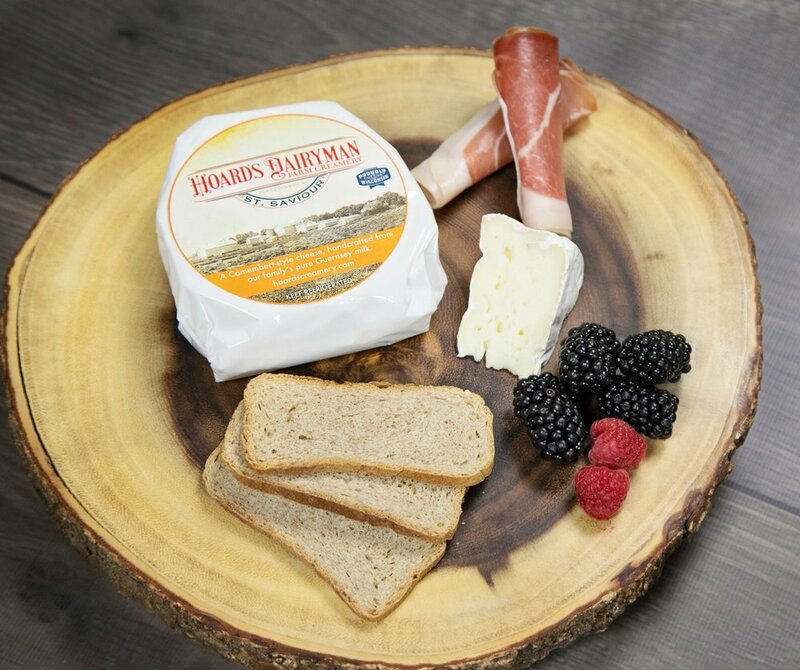 Its creamy, subtle flavor and soft texture make it an ideal cheese for formal occasions or a Sunday afternoon on the patio. Belaire’s welcoming pale yellow interior is highlighted with a distinctive bright orange rind. Slice and enjoy on its own, with a cracker, or with fruit. Pair with a white wine for an extraordinary experience. Trappist monks in the French coastal province of Brittany created the original Port Salut variety in the early 19th century. Today master cheesemakers are crafting our Belaire Port Salut-style cheese from rich, pure Guernsey milk that comes exclusively from the Hoard’s Dairyman Farm. Keeps well when securely wrapped and refrigerated. Named for a small parish on the Isle of Guernsey, our St. Saviour Camembert-style cheese delivers a rich, buttery flavor from a soft, creamy core inside a brilliant rind. Both the core and the rind should be served together for the true St. Saviour experience. St. Saviour’s versatility will quickly reveal itself. Your favorite baguette or crackers will be transformed. Have some preserves or honey nearby, too. St. Saviour always goes great with apples, pears, and nuts and can take any salad to an entirely new level. Paired with a light red wine, your St. Saviour experience will be one to remember. Camembert cheese first appeared in Normandy, France in the late 18th century. Today master cheesemakers are crafting our St. Saviour Camembert-style cheese from rich, pure Guernsey milk that comes exclusively from the Hoard’s Dairyman Farm.